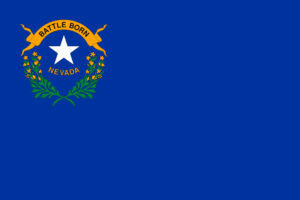 LAS VEGAS – Consumers who buy products online from out of state will soon see an additional sales tax starting Nov. 1. The added tax stems from a recent U.S. Supreme Court decision which ruled that states can collect sales tax from online purchases. Nevada is one of 32 states, so far, that’s changing regulations to collect taxes, but it won’t necessarily affect your purchases immediately. Here’s how it works: The clock started for companies on Oct. 1. So companies must start collecting sales tax the first day of the month that is 30 days after the company’s sales total more than $100,000 or the company makes 200 or more sales for delivery into Nevada. Nevada already has agreements with major online retailers; the biggest of which is Amazon, and companies that already have a brick and mortar presence in the state. Those companies have been collecting tax so it’s unclear which online companies will meet this new threshold until the company itself says they sold more than $100,000 or had more than 200 online purchases in the state. Current estimates are that 10 percent of all taxable sales now happen online. So what that means is that Nevada Coffers could earn up to $134 million a year from these sales taxes. This entry was posted in Nevada and tagged ENexus, Nevada, sales tax, State v. Wayfair Inc. 2017 S.D. 56 (2017), use tax by ZASALT. Bookmark the permalink.